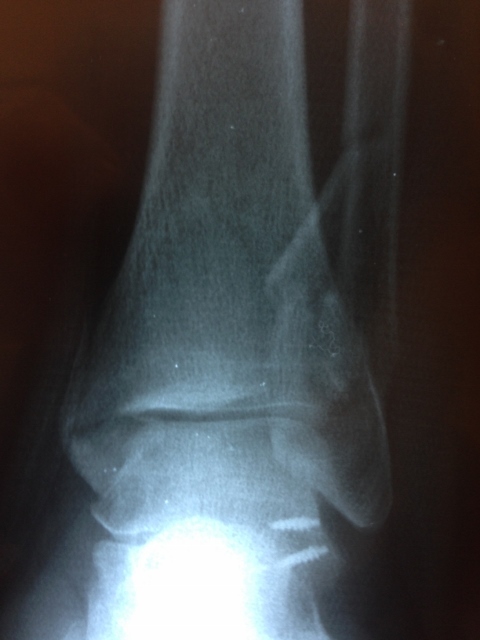 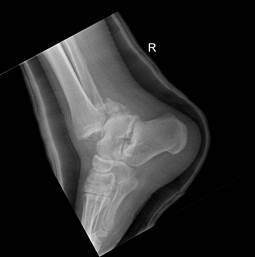 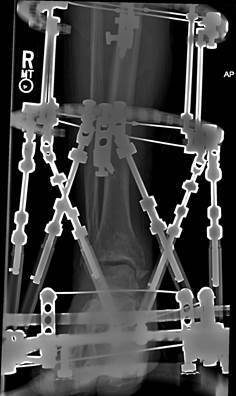 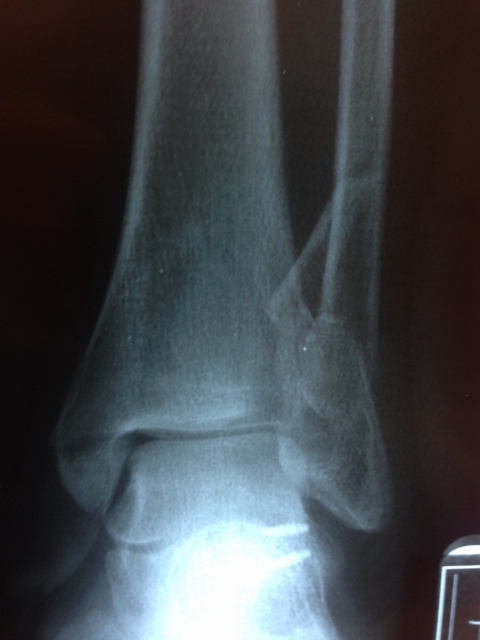 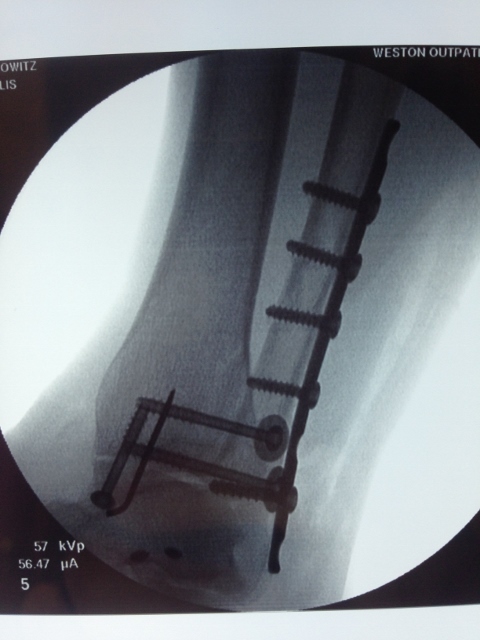 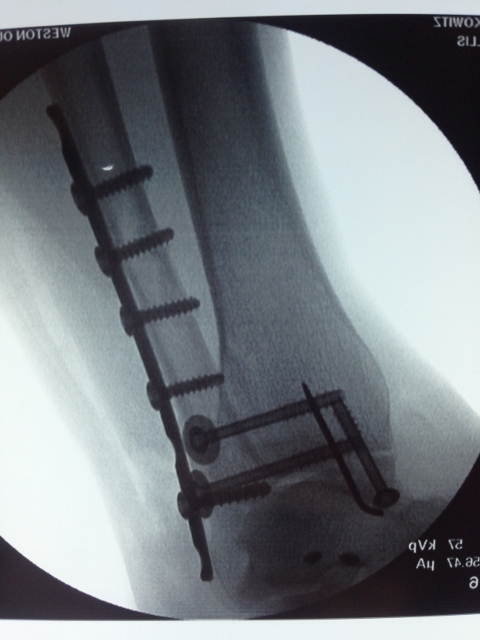 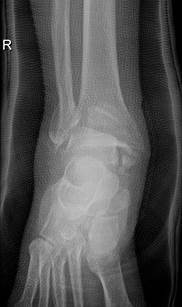 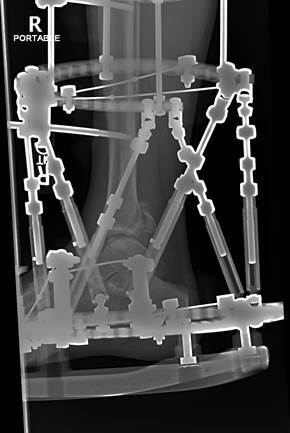 A plate and screws were placed to repair the fibula fracture. 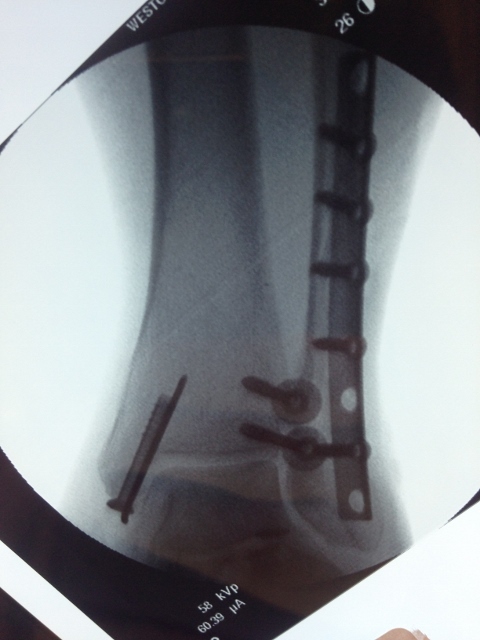 This is called an anti-glide plate and is placed on the posterior or back of the fibula. 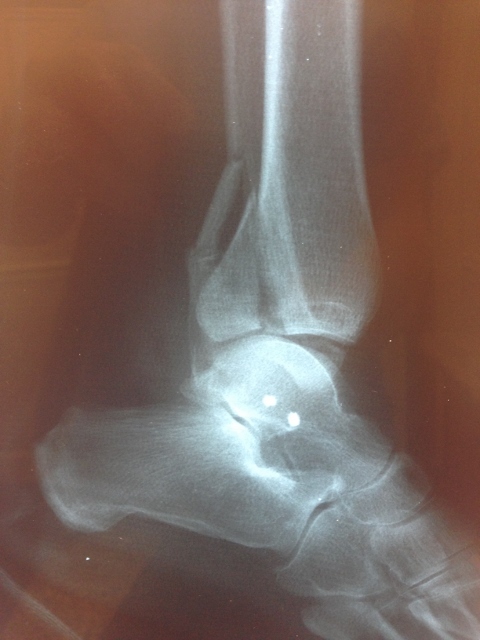 The posterior malleolar fracture was reduced and fixated with 2 screws percutaneously.